When my husband and I found out we were expecting, I had no idea how much fun being a mama would be. 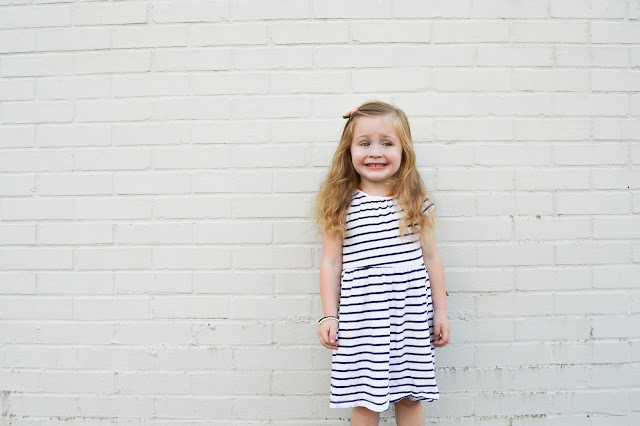 And once we found out we were having a sweet little girl, I had no idea until after she was born, how much fun and how great it was to be a girl mama. And goodness has it been sweet! 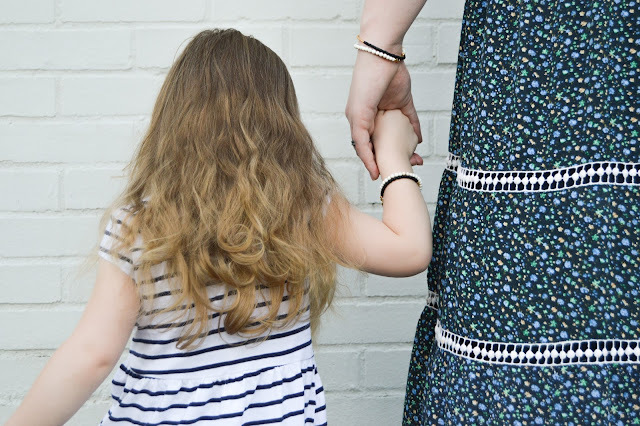 Hairbows, matching clothes, dolls, and matching jewelry! That's right! 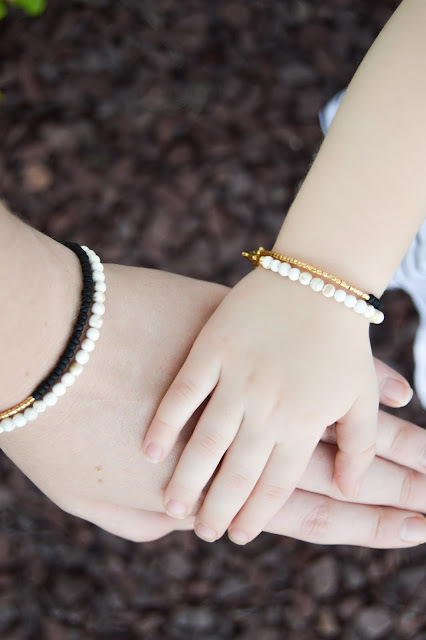 Matching mama + Mini stacking bracelet sets! 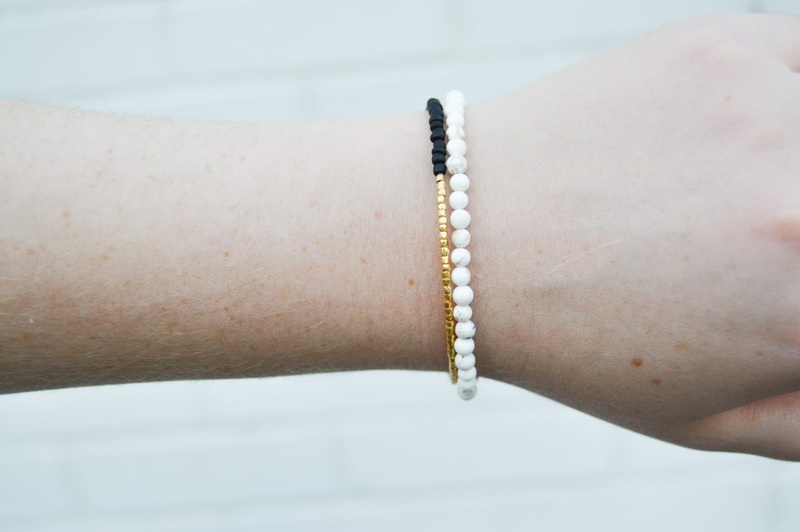 Goldy Fox has become one of our new favorite obsessions and we can't get enough of these stacking beaded bracelet sets! We paired the Gold + Black Beaded "Nellie" Bracelet and the White Howlite Beaded "Pixie" Bracelet to create the prettiest feminine monochrome look. 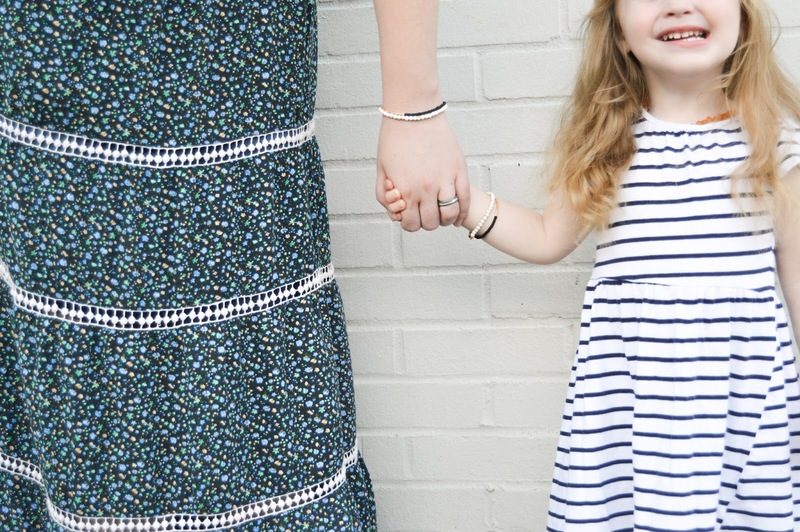 We love wearing them everywhere, to the grocery store, the farmer's market, church, the library, out to dinner, at home, outdoors because any girl mama knows how much fun it is to match with your little one. 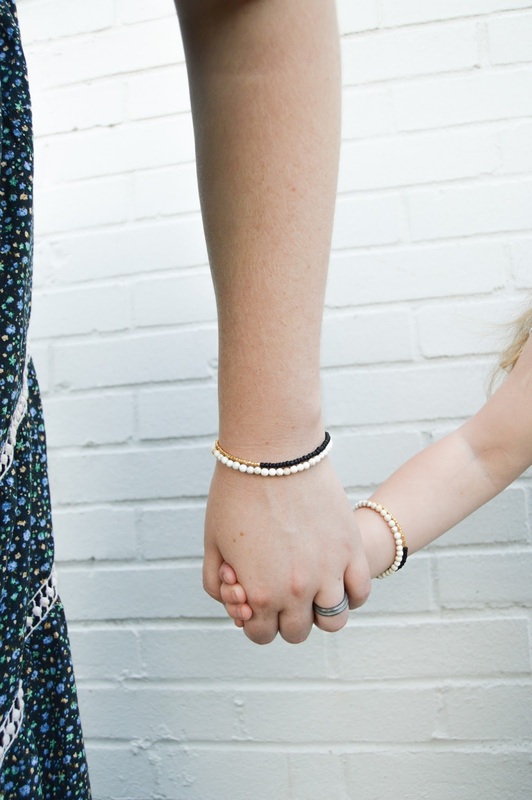 It's such a special thing really, and little girls love nothing more than to match with their mommy and have something that seems "grown-up". Another reason we love Goldy Fox jewelry so much is because it's made right here in the United States, in the Pacific Northwest, Oregon to be exact. 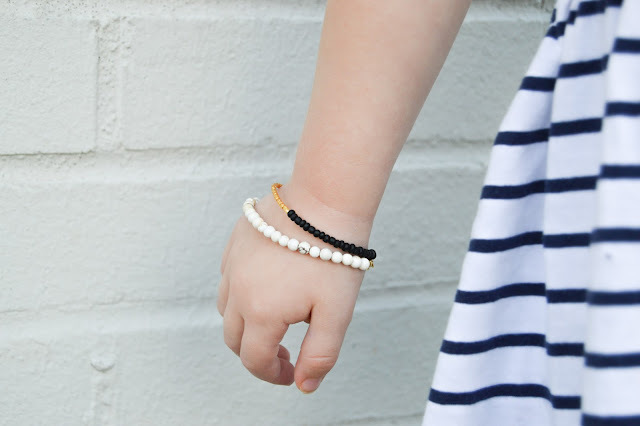 Handmade by super sweet lady, who is a mama herself! 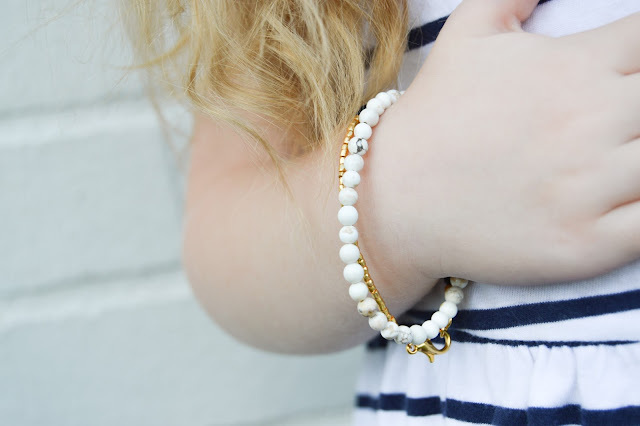 The White Howlite Beaded "Pixie" Bracelet is the most beautiful shade of cream, with little gold and gray flecks and lines running through it in so particular pattern, a beautiful and natural beauty. 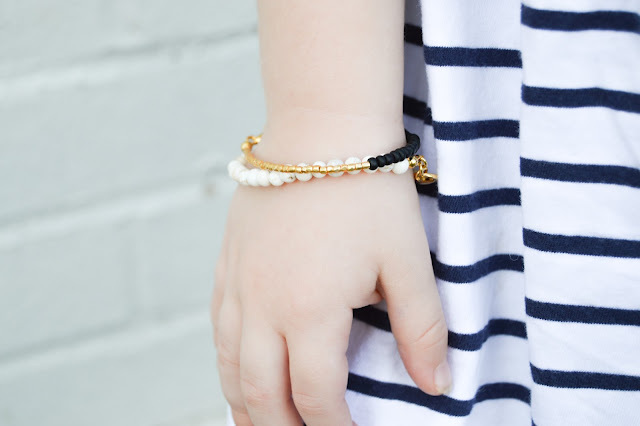 The Gold + Black Beaded "Nellie" Bracelet paired so perfectly with the "Pixie" bracelet because of the half glass gold seed beads that even highlighted the gold flecks in the howlite even more, and the matt ceramic seed beads on the other half of the "Nellie" bracelet contrasted so nicely with the cream of the "Pixie". Truly a winning combination. Goldy Fox offers so many more bracelet than just these two though, the Rose Gold, White + Gold Beaded "Angeline" Bracelet and the Gold + Frosted Sea Glass Beaded "Comet" Bracelet would also make a beautiful pair and beautiful even on their own! Just like the "Pixie" and "Nellie" bracelets, which can also be worn separately if you're going for a more minimal and simple look one day, or if you want to share with a friend. 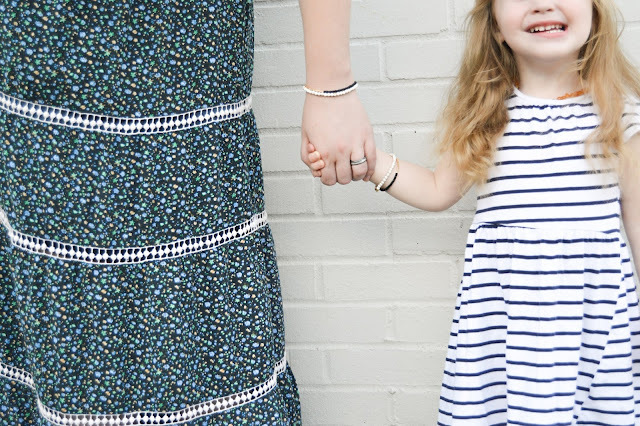 These lovely pieces from Goldy Fox have become not only favorites of Bella and I, but also wardrobe staples! Oh! 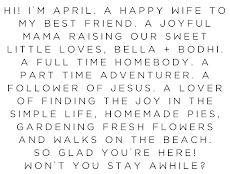 And this is just a hint, but husband's listen up! 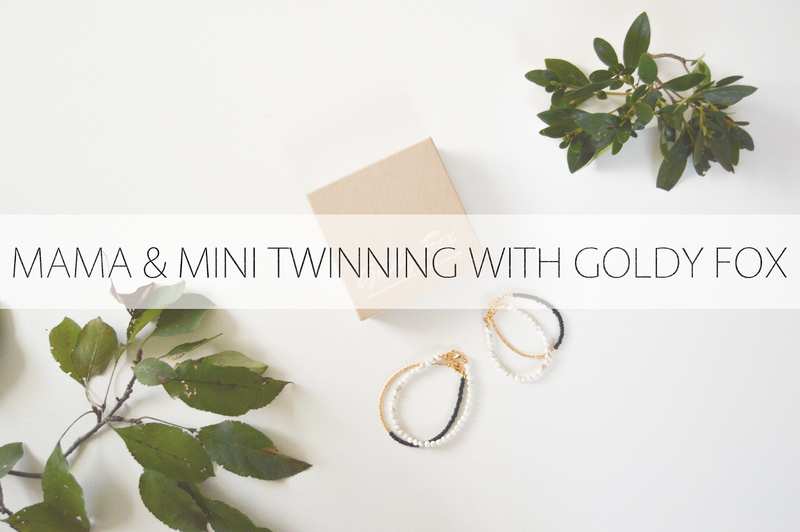 The holidays are fast approaching and these make literally the most perfect stocking stuffers, I mean, they already come in the cutest little box and everything! 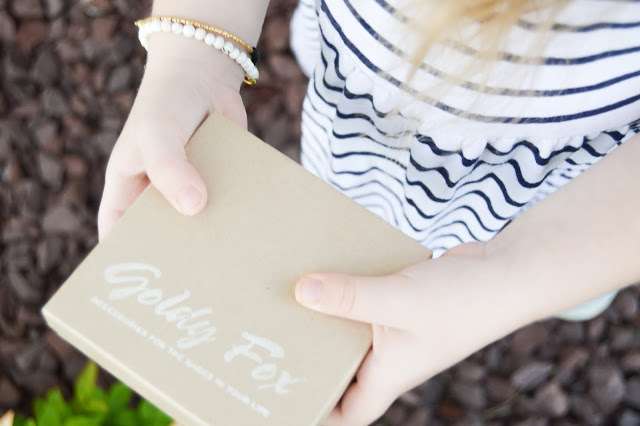 Now ladies, don't forget to head over to instagram to enter to win a $25 SHOP CREDIT (click here to go directly to instagram) to Goldy Fox!